Boolprop! • View topic - Dine Out vs Outdoor Retreat: which to buy? Dine Out vs Outdoor Retreat: which to buy? Which Game Pack should I buy? I've made a little extra money on eBay sales (which I use as my "fun money"), so I'm thinking about buying a Game Pack during the current sale. I've narrowed my choices down to Dine Out and Outdoor Retreat, and thought I'd ask for more opinions before buying one. CAS stuff: OR has more, for sure, but overall I like DO's offerings better. That said, there are a number of OR things I really like. Buy/build mode: DO's seem to be much more multipurpose to me. I was especially pleased by how it looks like it adds some great new artwork to the game. That said, OR adds some really cool things--I especially like the look of tents, the fire pit, and the horseshoes game. Experience features: The dining out experience looks really well done to me--I love the little touches, like drawing on place mats and taking pictures of the food. 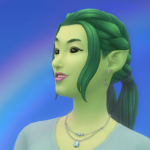 I did think it looks like OR adds more everyday gameplay stuff--I get envious every time I see sims in other stories stargazing or cloud watching, I love the look of the herbalism skill, and since my current Matriarch is making money by woodworking I love the idea of giving her more things to make. Food: FOOD. I love packs that add more food to the game, so both work for this! Cons: I'm not really one for running businesses or for taking my sims on trips, so I worry that I'd be missing out on a big aspect of both packs. I pretty much only play family-based gameplay: right now I'm working on a 100 baby challenge, and otherwise I default to legacies. Re: Dine Out vs Outdoor Retreat: which to buy? I have and enjoy both, but DO would probably be my pick of the two. I'm not really one for lots of 'run a business' or 'take a vacation' gameplay either, so I find that I use restaurants more because I can just send my sims there for date nights/club meetings, etc. 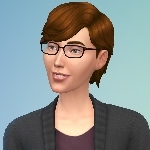 Also, if you have City Living, which I believe adds the food critic career track, you can now send your sim to actual restaurants to write their reviews and stuff! As for the furniture/CAS stuff, I find the DO furniture is slightly more versatile because you could use some of it just in regular kitchens/other types of community lots. The clothes are probably a tie, DO has some nice casual stuff, but OR adds some much needed footwear variety, plus the clothes are very well suited for making outdoors-y looking sims. Heather wrote: I have and enjoy both, but DO would probably be my pick of the two. I'm not really one for lots of 'run a business' or 'take a vacation' gameplay either, so I find that I use restaurants more because I can just send my sims there for date nights/club meetings, etc. Also, if you have City Living, which I believe adds the food critic career track, you can now send your sim to actual restaurants to write their reviews and stuff! Ooh thanks for your advice! Yeah, I was thinking the same thing for DO re: sending sims to restaurants. I don't have City Living yet. One day. ;; It's the always the bridesmaid of expansion packs for me, haha! Not sure if you made your purchase yet or not but I would vote for OR but that's because I like being able to take vacations and I absolutely love camping in RL so that would be my number one pick from the two. jcampbell wrote: Not sure if you made your purchase yet or not but I would vote for OR but that's because I like being able to take vacations and I absolutely love camping in RL so that would be my number one pick from the two. Cries I actually did go ahead and buy DO! I really want to add OR to my game further down the line, though. I'm really tempted to try my hand at a Drifter challenge one of these days, and I feel like having OR would be really good for that, based on the little I know about it so far.